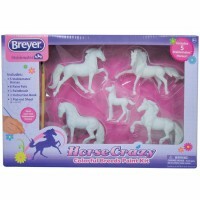 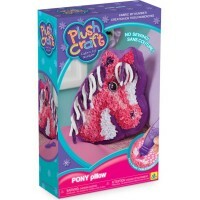 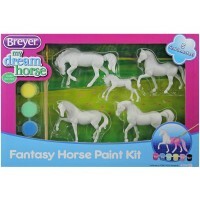 This Breyer 3D Paint by Number Pinto craft kit lets young horse lovers paint their dream horse. 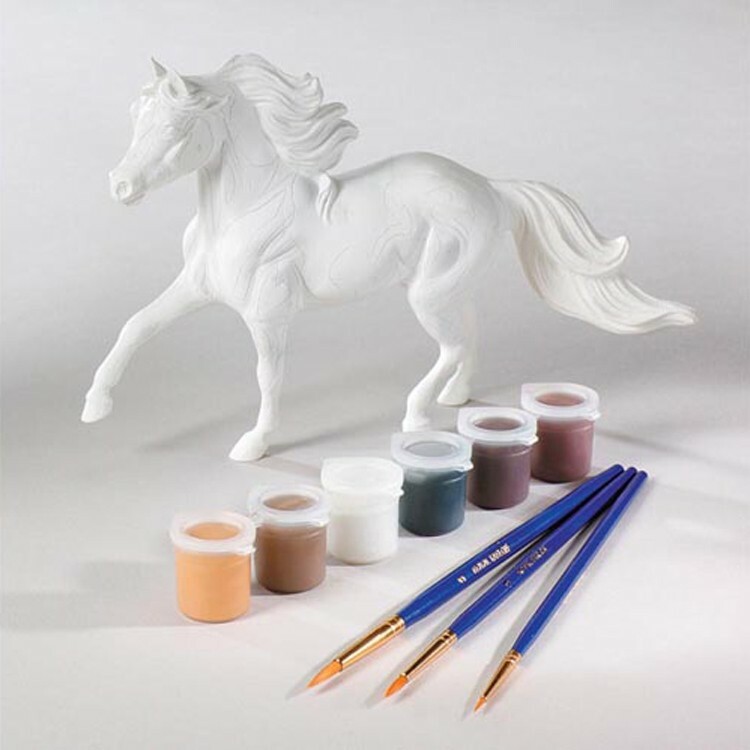 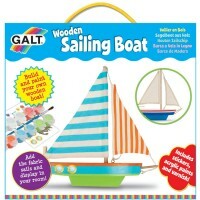 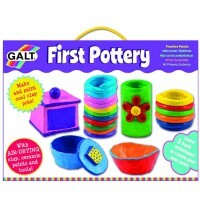 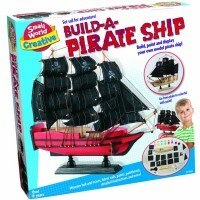 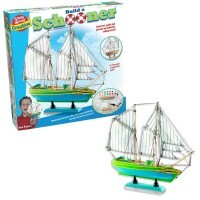 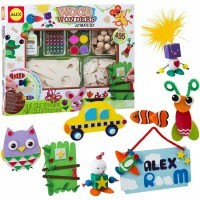 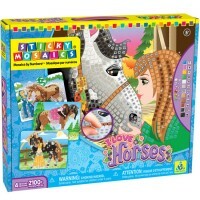 Two kids favorite things, painting and horses, come together in this craft kit. 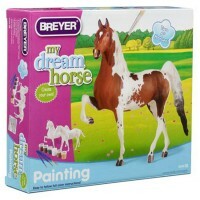 3D Paint by Number Pinto Horse Model Craft Kit comes with all your young horse fan needs to decorate her own horse mode. This 3D paint-by-number craft kit by Breyer includes a pre-marked with numbers Pinto horse figure, all paints and brushes that you need to paint it, and a detailed instruction booklet. 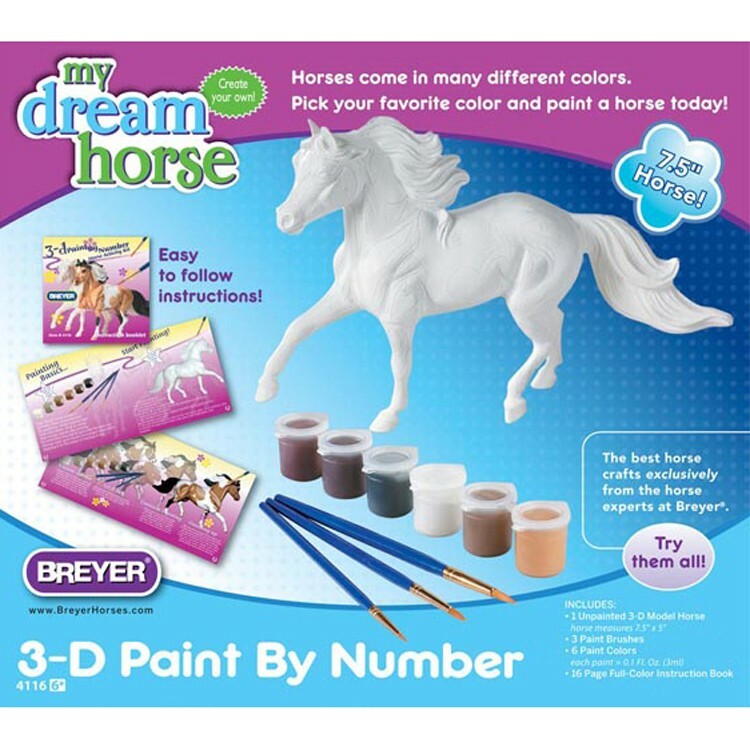 Be creative or follow the pre-printed numbers, and paint a realistic looking horse model with 3D Paint by Number Pinto Horse Model Craft Kit from Educational Toys Planet. 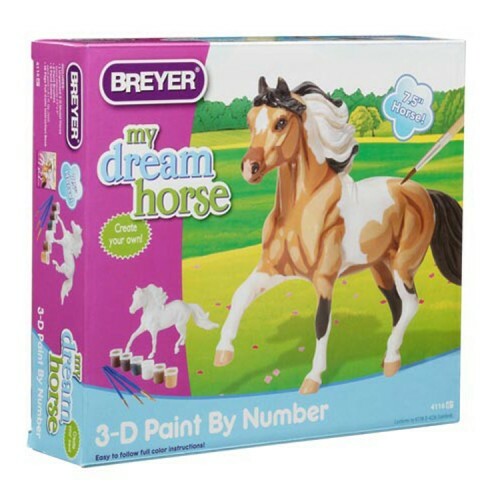 Dimensions of package 1.97" x 6.69" x 5.51"
Write your own review of 3D Paint by Number Pinto Horse Model Craft Kit.